Zonal flow dominated the pattern across the Northern United States and we’d need to bank on some shortwave perturbations to help things along. Luckily we had one of these that was expected to move across the Northern Plains into the Great Lakes. 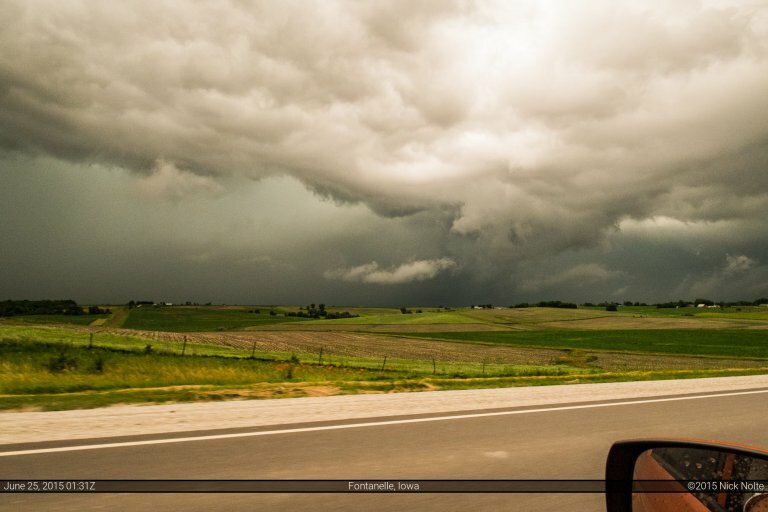 On the surface, a low was expected to develop over Western Kansas and migrate into Iowa and Illinois along a warm front that was progged to lift throughout the day. My intention was to play along that warm front where any outflow boundaries from the overnight convection might interact with it. 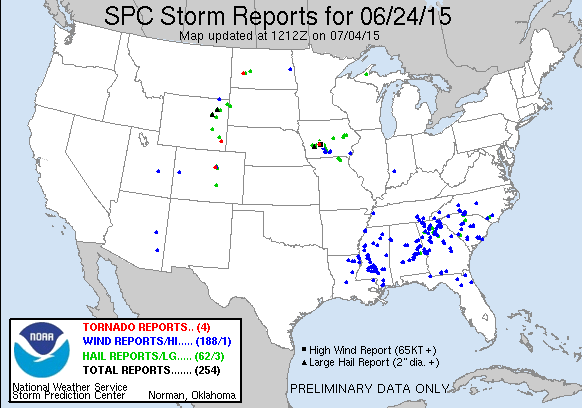 The concern for the day was the MCS that was propagating across South Dakota and Nebraska. Would this re-intensify as it collided with the strongly buoyant airmass south of the warm front. SPC was expecting new storm development near 0z immediately north of the warm front, and any tornado chances would hinge on the timing of this initiation and whether or not storms could interact favorably with the boundary before the surface layer decoupled. I left Michigan shortly after 7am and made the trek west to Davenport where I pulled off to take a look at data and figure out just how far west I was going to have to go. 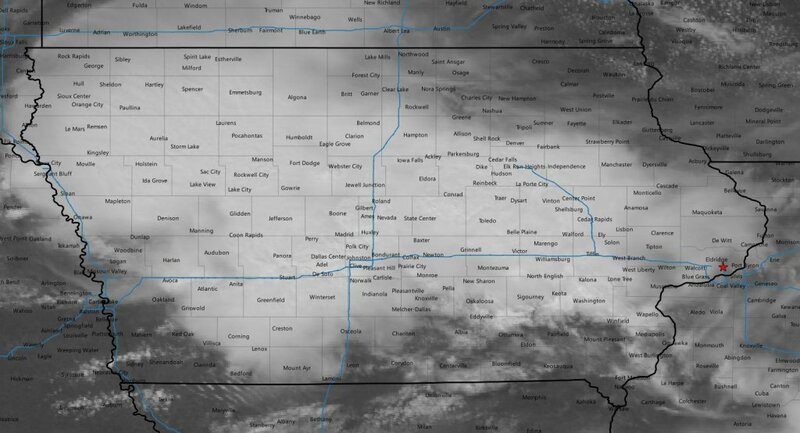 It was already coming up on 19z and the amount of cloud cover across all of Iowa had me concerned that this was going to be a bust. SPC had issued a mesoscale discussion for Southwest Iowa indicating a marginal threat for tornadoes and a possible watch to come later. 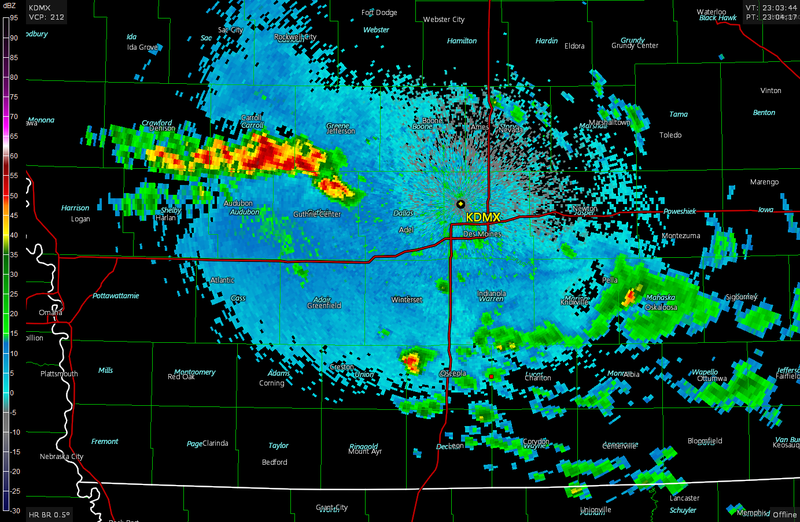 Two outflow boundaries along the Nebraska/Iowa border were the focus of their discussion. 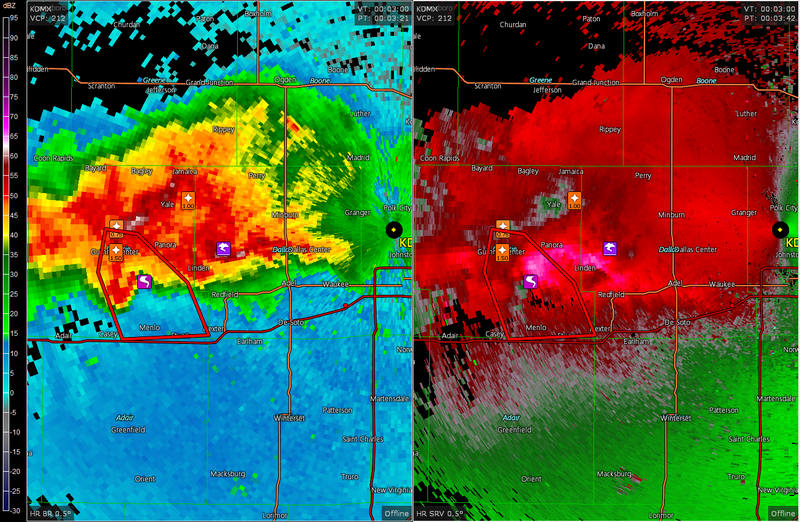 Shear and helicity values in this area were very favorable for supercells and tornadoes. I continued west on I-80 until an agitated cumulus field started to develop south of Des Moines. I ventured south of Des Moines to see if the little storms that had started to fire would do anything. 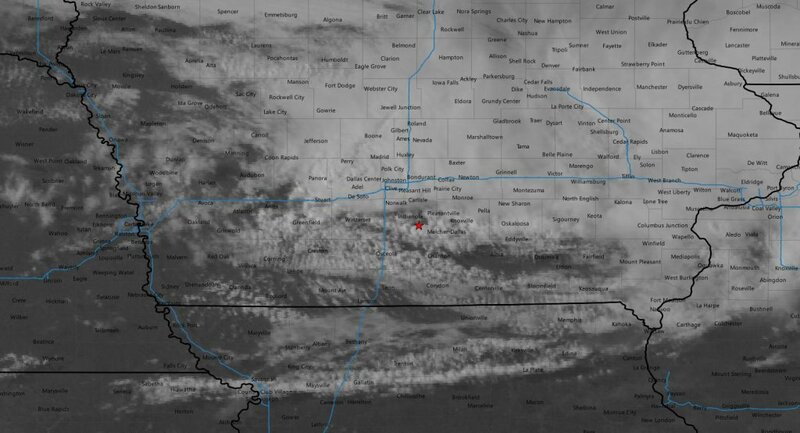 While I was doing this I failed to notice the warm front in Western Iowa had poked up north of I-80 into the US 30 area where the clouds had cleared out from earlier in the day. 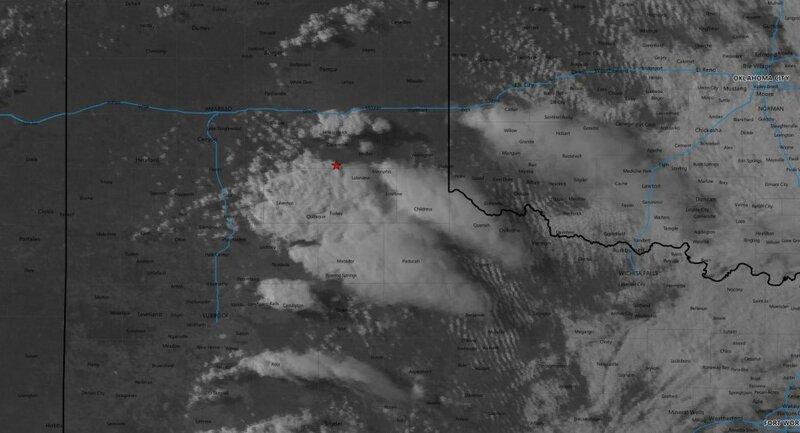 As 23z rolled around, cells began to explode along a line from Denison to Redfield and I was a bit out of position 60 miles to the southeast. I realized my error in position and bolted up I-35 back to Des Moines. The SPC issued a tornado watch for Southwest Iowa with the new explosive development and the storms went severe warned while I was on the way. At 0z, I finally was heading west on I-80 west of Des Moines as the first tornado warning was issued for the storm near Guthrie Center. Just a couple minutes later a storm chaser reported a tornado south of Panora while I was still 30 miles out. I got off I-80 at the Adel exit to take advantage of US 6 and head west in front of the complex of storms that was drifting southeast. Shortly after I got off, the storm closest to me went tornado warned as well near Redfield, so I continued on US 6 into the storm. The precipitation was very thick and visibility was very low, but there were some very low, ground scraping wall cloud-esque features that were visbile from US 6 as I approached I-80, again, east of Dexter. I drove south out of Dexter to IA-92 as the storm I was on passed me by. I decided to go after the next one to the west as it’s tornado warning was extended to cover Adair, Anita and Greenfield. I drove through Greenfield then north a bit to get right into the inflow notch of the storm and it was still pretty difficult to see anything. I looped around back to Fontanelle and got a pretty decent look at the storm as it passed north of town. At this point the storms seemed to be done throwing out appendages with rotation and congealing into a generic mess of convection. With that, as well as dusk setting in, I decided to call the chase and begin the drive back to Michigan!